It's the end of August, which means that September is looming and its basically Christmas! Amirite! I love the Winter, but I also hate it at the same time. I love nothing more than snuggling up at home with a hot cup of Earl Grey, watching a rubbish film while it pours down with rain outside. However, as I am 117 years old, I also suffer really badly from Chilblains in the Winter! This is mainly due to my inability to find a pair of 50's inspired boots which are both practical and stylish (we will move onto this momentarily!). So with Winter just around the corner and at the forefront of my mind, I though my picks for this month's blog post should focus on AW2016 and all the delightful new goodies coming our way! I have been looking for a considerable time for a pair of winter boots which are delicate, pretty, sensible, waterproof and of a vintage style. Oh and I don't want to pay a fortune either, because, you know, I'm tight. From my limited amount of research, I've found that Winter boots in the 50's often had a fur trim and a delicate block heel. The block heel is crucial here as I am extremely heavy footed (Spencer often calls me 'Stompy'). 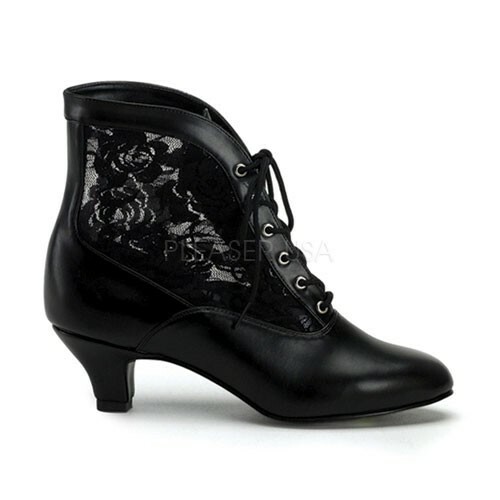 So when I came across these Victorian Style Ankle Boots from Alternative Footwear, I fell in love. The PVC bit isn't great, but everything else about them ticks all of my boxes. I am pretty sure I will be snapping these up in the coming months. Collectif have some AMAZING items coming in store in the coming months and I cannot wait to get my hands on some of them! The Penny Vegas Pencil Dress is a must have on my list; perfect for a Christmas party! 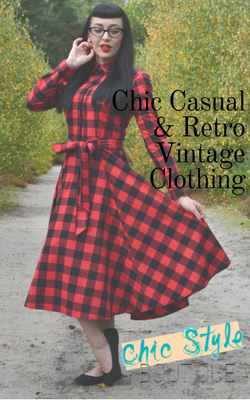 Collectif also have a lovely range of jackets coming out this Autumn, with the Cheyenne Tai Tartan Gab Jacket being on my list of favourites. It has a really cool Rockabilly edge to it and is bound to keep you warm while flinging those sparklers around in a few months time! 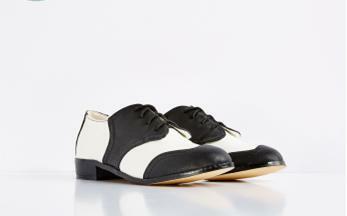 OK. Lindy Bop now do shoes, which we need to talk about. 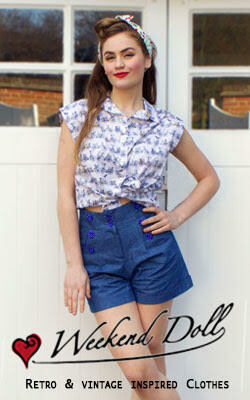 Lindy Bop are great for super affordable, everyday Pinup and Rockabilly looks. They have a huge range of affordable outfits and now they do shoes! The Ethel Brogues are super cute and would look perfect with a Swing dress while tearing up the dance floor at the office party, or with a pair of Freddies Jeans while you sip mulled wine by the fire. OK, I need to stop talking about Winter. I love it too much! 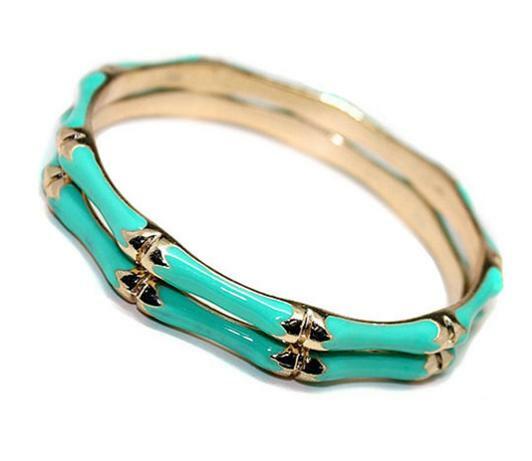 Last on my list but by no means least are the new bamboo style bangles from Lady Luck's Boutique. I had the pleasure of meeting Jade, the owner of Lady Luck's Boutique last week and she is a super lovely lady. These new bangles which have just come in are a lovely, more colourful alternative to bamboo and add a little bit of sparkle, which is nice for a more dressy, evening outfit.